Tommy Fleetwood may well have stolen the limelight with his Abu Dhabi triumph but it was a weekend to remember for a young aspiring golfer. 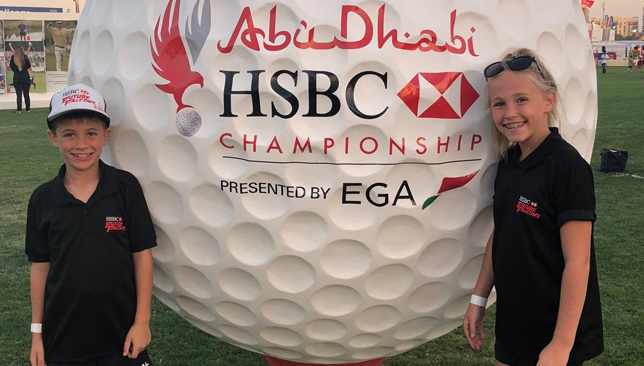 Jasmine Pitman, a student at The British International School Abu Dhabi (BISAD) reigned supreme at the HSBC Future Falcons Golf Skills Challenge, held on the sidelines of the Abu Dhabi HSBC Championship. The Year Seven pupil qualified for the event in November and beat other talented golfers to win her age group. Her reward was a round of golf with Edoardo Molinari, a member of Europe’s winning Ryder Cup squad in 2010. The feat is even more remarkable considering she only started playing golf two years ago. Understandably, she was left in awe of her experience. “I really enjoy playing golf and love the opportunities that HSBC Future Falcons give to junior golfers,” said Pitman, who trains at Abu Dhabi City Golf Club. “The ‘Skills Challenge’ tests all parts of golf – driving, chipping and putting. I was so excited to win my age category because I had been working hard and the prize was a round of golf with a European tour professional. Her efforts on the course did not go unnoticed with BISAD teachers lauding her performance. “We are extremely proud at The British International School Abu Dhabi to see Jasmine, one of our talented sports students, competing and succeeding in sports such as golf outside of school,” said Paul Cochlin, head of PE. “We wholly encourage our students to utilise the skills acquired within their PE lessons and school sports training, and transfer them into other activities outside of school. It is hoped Jasmine’s achievements will give confidence to more of our students in exploring other sporting opportunities. 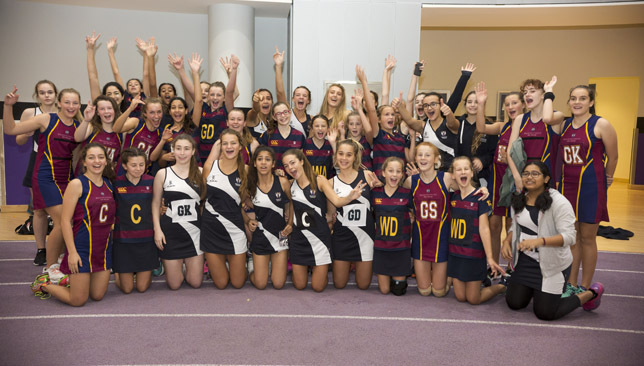 There was no shortage of talent at the BSME netball tournament as top schools across the region battled for glory in Abu Dhabi. More than 300 athletes from 16 schools in the Middle East flocked to New York University Abu Dhabi for the second annual competition and unsurprisingly there were some exceptional individual and team performances across the Under-13, U-15 and U-19 categories. As hosts, Brighton College Abu Dhabi had already enjoyed a strong season in the Abu Dhabi International Schools Sports Association (ADISSA) competition this term with unprecedented success and their dominance continued in the BSME tournament. In the Under-13 final, Brighton were leading 9-8 going into the final minute but The English School Cairo rallied back to win 10-9. Later, Brighton also saw their U-15 and U-19 sides reach the final. Although BSAK emerged winners in the U-15 final, there was something to celebrate for the hosts as Brighton gained revenge in the U-19 decider with a close 8-6 victory. Among the Brighton College players to impress was Sarah Gauthier. A member of the U-13 ‘A’ squad, she scored the most number of goals for her team, while her team-mate Anouska Redding was named Most Valuable Player in the U-13 category. In their U-15 team, Laura Hurn was one of the standout players by scoring the most number of goals. For Logan Larkins, her dazzling efforts on court saw her rewarded with the player of the tournament accolade in the U-19 competition. 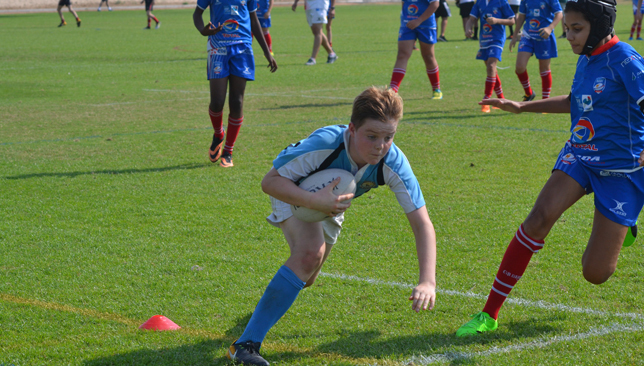 There was no shortage of numbers at the annual BSAK 7s as more than 800 aspiring rugby players took to the field in Abu Dhabi at the weekend. Teams from Bahrain, Lebanon and Egypt, as well as the UAE, made their way to the capital for the two-day event, which began at the British School of Al Khubairat on Thursday before ending at Zayed Sports City a day later. The boys’ competition saw trophies up for grabs in the Under-11, U12, U13, U14, U16 and U19 categories while girls’ competition included U14 and U19 touch events. Just like in the previous editions, the event showcased the best rugby talent not just in the country but from across the region with some thrilling matches across both days. In Dubai College’s case, they saw their U12s clinch the victors’ trophy before their U19 sides in both the boys’ and girls’ events reigned supreme. Their U19 boys’ side had to overcome a stern test against hosts BSAK but Dubai College captain Oliver Tait says the triumph will give them a lot of confidence going into next month’s Dubai Sevens. Their neighbours Dubai English Speaking College (DESC) made the trip back to the emirate with two titles in the boys categories. Their A side came out on top in the U16 competition with the same result achieved in the U14s. DESC U16 skipper Alistair Hess is now hoping to force his way into the team’s Dubai Sevens squad and admitted there were no easy games in the capital. Matt Thomas, head of rugby at BSAK, was thoroughly impressed with the talent he saw in all of the categories. “The standard of rugby over the two days has been absolutely second to none,” he said. “It’s been a real showcase of the playing abilities in the Middle East and UAE and superb rugby all round. “This is the stepping stone for schools to sharpen their tools for the Dubai Sevens.